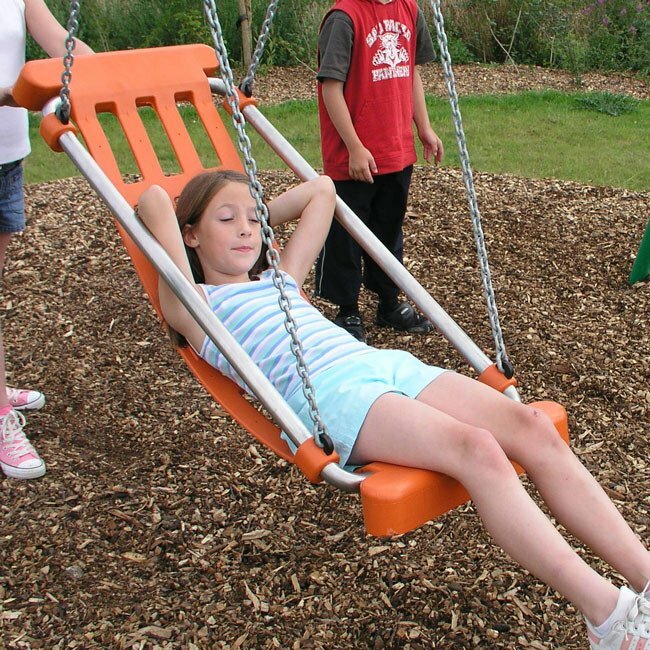 To swing on a normal flat seat requires balance, a strong grip and good co-ordination. The inclusive swing seat allows children who don’t have those abilities to also enjoy the sensation of swinging. 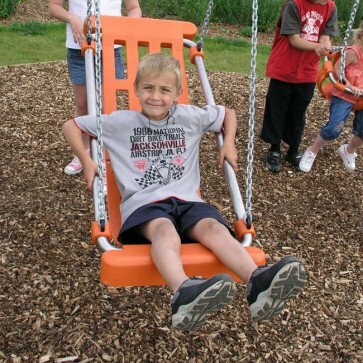 The inclusive seat is supplied with chains fixed in an upright position to suit any 2.4m (8ft) swing frame. 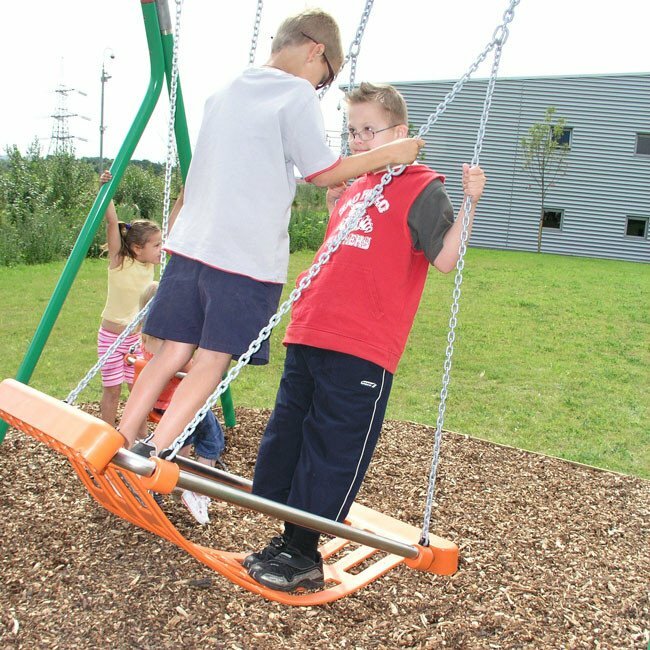 The inclusive swing seat is supplied with chains fixed in an upright position to suit any 2.4m (8ft) swing frame that complies with EN1176 Part 2. It can be hung in the same way as other flat or cradle seats. The seat features our patented shock absorbing front section.